You might remember last week we featured a couple of images of Belkin’s LiveAction Camera Remote as it made its way through the FCC. Well this week Belkin has now officially launched their new Belkin LiveAction Camera Remote together with an iPhone camera grip, which transforms Apple’s iPhone or iPod Touch into a traditional digital camera. The Belkin Camera Grip attaches to the charging connector of the Apple devices and will even easily fit over most cases, says Belkin. It also includes an integrated tripod mount that will attach to any standard tripod, giving you the ability to have even more control over your photography. The Belkin LiveAction Camera Grip is equipped with separate buttons for photo and video capture allowing you to easily switch between stills and live-action video. To use LiveAction Grip you also need to install the Belkin LiveAction App which is free and available for download now at the Apple App Store. 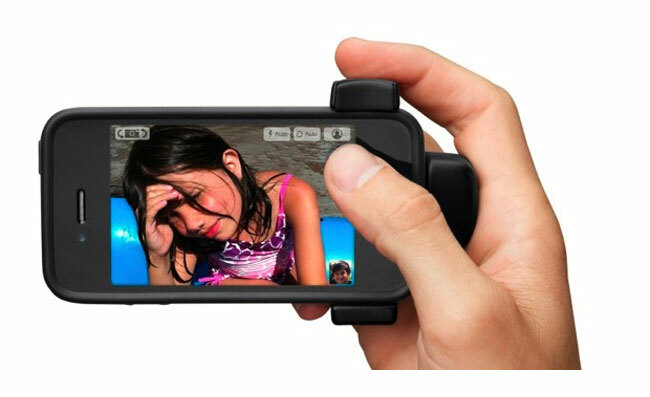 Attaching the Camera Grip to your iPhone or iPod Touch will immediately activate the LiveAction app. The grip can also be used in conjunction with Belkin’s new LiveAction Camera Remote which will allow you to activate the iPhone or iPod Touch’s shutter from up to 30 feet away. It’s also fitted with separate buttons for still photography and live-action recording, enabling you to remotely switch between the 2 modes. 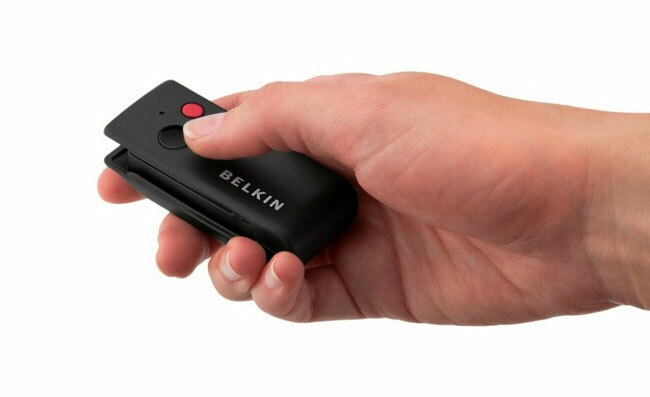 Both the Belkin Camera Grip and Belkin’s new LiveAction Camera Remote will be available to purchase during the middle of December for around $50, and are compatible with the iPhone 4, 4S and iPod Touch.